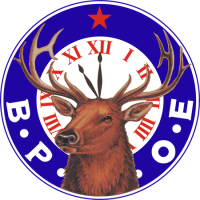 We welcome visiting Elks with RV's or trailers. The Lodge has 34 spaces with water, electric hook ups (30 or 50 amp), and sewer hook ups. 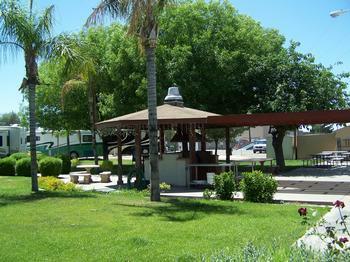 Tempe Elks Lodge 2251 is looking for an RV Park Host starting 10/1/2018 through March or April 2019. The job is 25-30 hours per week and comes with free rent. Check with the Club Manager or Bartender on arrival. Space is available on a first come first serve basis. Sorry, we do NOT accept reservations. Contact the lodge for further details and availability of space. 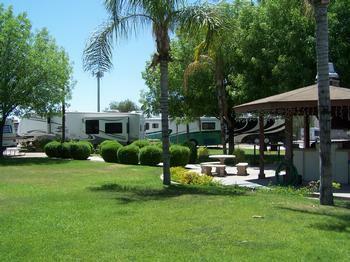 WiFi is available to all RV's in the park. Monday through Friday from 11:00 AM - 10:00 PM. Saturday 10:00 AM - 10:00 PM. Sunday 9:00 AM - 9:00 PM. 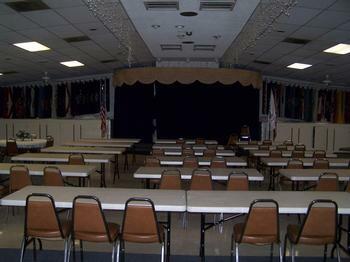 Club closed on first and third Tuesdays during Lodge meetings. The lodge has a wonderful outdoor grilling and picnic area, often used for functions like Labor Day Picnic, Memorial Day Picnic, the annual Children's Easter Egg Hunt, Western Night and the lodge and state Soccer Shoot. This room serves as our lodge room and sits next to the kitchen. It is used for our dining room, special events, meetings and many other community and lodge activities. The room capacity is 240 people. The club lounge area consists of a "U" shaped bar seating approximately 20 people. 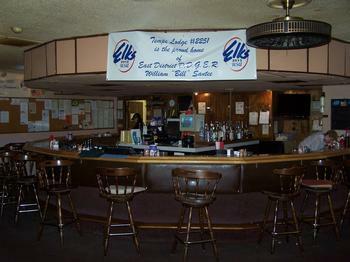 The area around the bar has tables seating approximately 32 additional people. To the south of the lounge area is our game room with 2 full size pool tables and seating at bistro tables. One of the two ladies' rest rooms is located off this area. To the north of the lounge area is our small dining area seating approximately 60-70 people. This area can also supplement seating for the bar lounge area.